Constance Spenser, an aspiring witch, is no ordinary woman, and neither are her problems. Unhappy in her life, she seeks knowledge of the spiritual side of life, but what she finds is another world, a world where she has no place. She must gain the council’s trust and discover a way home, but in her attempt she finds herself falling for the enemy. Can she survive long enough to discover her destiny? Cher, tell us a little about yourself. As a child, I found myself intrigued by books. As a teenager, I wanted to create my own worlds, so I did within poetry and short stories. After graduating high school, life took over and there was not time for my dream. In 2001, I decided it was time to follow my dream. I’ve been writing and honing my skills ever since. That's wonderful you decided to follow your dream. When did you first consider yourself a writer? I’ve been a writer all my life, even if the words didn’t make it to paper. I love that answer. Perhaps we writers were always writers. You mentioned that your novella Escape to Love is outside your normal genre. What is your normal genre? Horror is actually my preferred genre, but not blood and guts type of stories. Thinking over my short stories and novel in progress, I’d have to say paranormal suspense is usually the direction my stories take. I love horror, and I definitely enjoying writing some paranormal suspense. 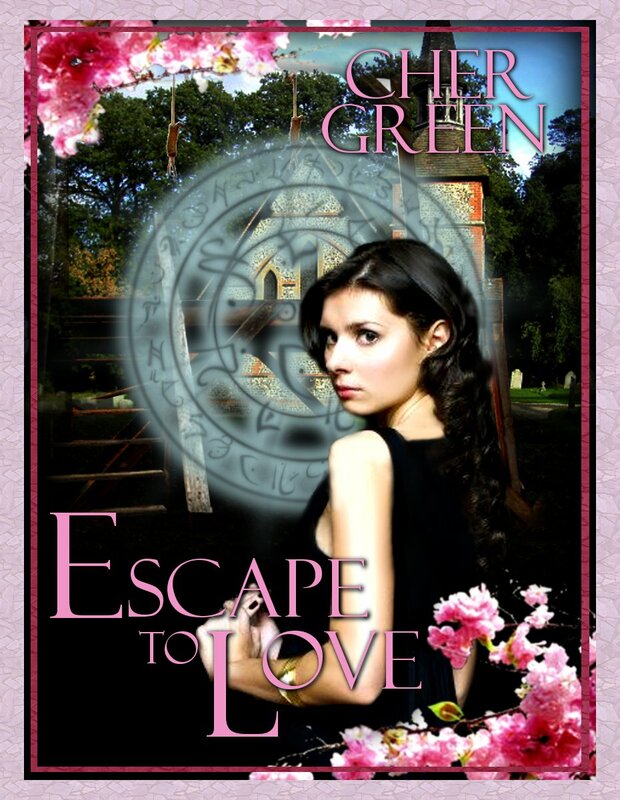 What inspired you to write Escape to Love? I wish I could say a dream, or a life experience, but this story was actually created with the purpose of submitting to eTreasures Publishing. Invited to write a piece for one of their themed collections, I brainstormed and came up with the story idea. I wrote from beginning to end with no glitches. It was a fun story to explore and create. That does sound like a lot of fun. I know writing to a theme can help with inspiration. What other projects are you working on? Do you have anything else coming out soon? I have a novel, paranormal suspense, in progress. Dark Valentine has accepted one of my short stories, due to come out in September. We are working on a new title, so I can’t really say more on that. New projects pop up every day, a new idea germ, a new story. They don’t all make it to paper, but I have notes all over the place. Good luck with your novel, and that's awesome about Dark Valentine accepting your short story. What advice would you give to writers? Practice, practice, practice. I know it’s been said before, but this is the only way to improve your writing. And don’t worry if you are doing it right or not, just keep writing. Also, when submitting, don’t give up. Rejection is part of the process, and for the most part has nothing to do with your writing, your timing is just off or you sent to the wrong editor. Critique partners are a must. I wouldn’t be where I am now without a select few. Thank you so much, Cher, for visiting with us and telling us about yourself and Escape to Love! Cher Green, intrigued by the written word, has made it a life goal to bring her stories to life and share them with others. Inspired by such writers as Stephen King, V. C. Andrews, and Dean Koontz, she strives to touch the lives of her readers with her stories. After years of learning the craft, she writes in many genres, spanning from horror, suspense, and romance. For more information about this writer visit: http://www.chergreen.com. I love that you said, "I've been a writer all my life even when the words didn't make it to the page." Very profound and so, so, true. :) Best of luck, Cher. Horror is hit or miss in my opinion. I loved being a CP for this book. It's a great story. :) Can't wait to see it as a completed ebook! Writing for a theme is a great way to exercise those creative writing muscles. Great interview, Cherie and Cher! Cherie, thank you so much for having me on your blog. Salarsen - thanks for the luck. Michael - Very true. It is also a large genre. It most groups my work would not be considered horror, more suspense. Aubrie, thank you so much. You were my one and only CP for this book and your help was much appreciated. Janel, Thanks. Yes themes are good if you can get your muscles to work, lol. I'm working on another themed novella for eTreasure Publishing now.